Wave X apocalypse, stock market gyrations, war – Are we heading for trouble? (Not likely). We are now into the month of September and many are writing about the supposed “Wave X” that is purported to wash over the entire planet around the end of the month, with dramatic consequences. World financial markets are gyrating with great volatility as market makers seek to find equilibrium in an increasingly uncertain world. War rages on in the middle East, leading to an enormous refugee crisis in Europe. These are some of the headlines that have gotten my attention in recent weeks and I thought it might be a good time to take a look at them through the lens of the 5D perspective, so shall we then? First off, stories of apocalypse or mass “awakenings” of millions are a bit premature. Perhaps we have been too taken in by our movies and TV shows in recent years and now expect that a comet might explode over our house if we’re not watchful! Yes, energetically things are changing and that is a good thing. The Earth is constantly being bathed by all sorts of cosmic energies, both known and unknown. The planet has shifted into a 5D frequency already, it is we who are now beginning to do the catch-up to it. Wave X, as it’s called, is the result of a lot of people’s impressions and insights into what might be occurring this fall. Much of it is based on some very compelling astrological alignments in our solar system, such as a series of strong full moons called “super moons”, an eclipse and several retrograde motions of a few other planets. Fascinating information for those interested. There are just a couple points I would like to make about using knowledge like this as a forecasting tool. First, what is occurring right now is unprecedented in recorded history, you would have to go back about 13,000 years to see what happened then to be accurate, and no one to my knowledge has that information. According to my sources there never has been a planet that has shifted from 3rd to 5th dimension without wiping out most of the population, yet we’re still here! In practical terms, September is the month when the bulk of the population in the USA and Europe and other areas return from their summer holidays and schedules and back to work and school in droves. Government’s also return to full operation from their summer recesses and the business of law making and governing increases. This is an annual momentum shift that puts much attention and energy into creating anew. This shift of human energy does create a noticeable shift in output as all of this begins to happen. And while all of this is ongoing the planet continues to impact all of it’s inhabitants with its vibrations as it moves into areas of space we haven’t been in since the fall of Atlantis. There is something called cellular memory that we all have as humans. Our memory is not just located between our ears in our grey matter. It is also encoded into every cell of our body. We are now at a point where we will be able to access memory in a new way to further expand our awareness. In my opinion what people are picking up on is this embedded cellular memory of the destruction of Atlantis and possibly Lemuria as well because we are moving into a time on the spiral of creation where we are all going to revisit that energy as we shift. This by no means is a single event, nor was it when it happened and the vibratory rate of the planet decreased substantially. 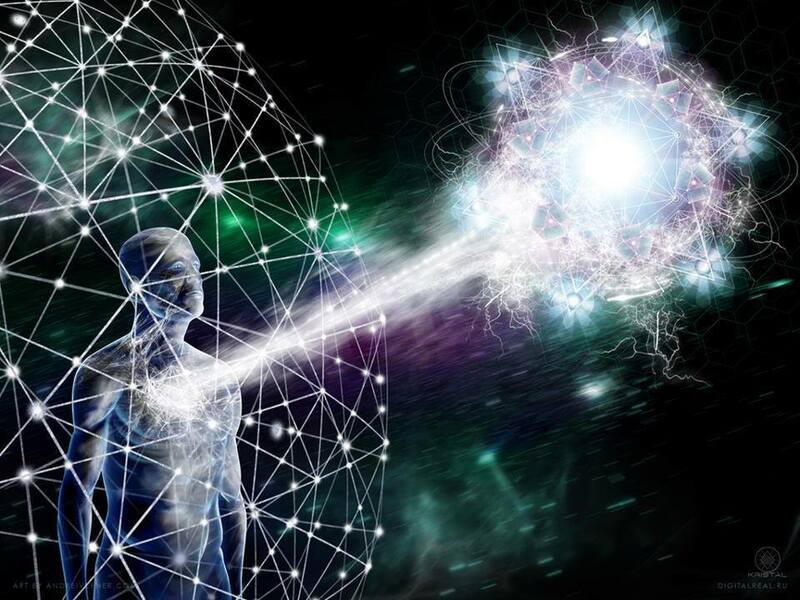 In essence we have encoded within us on a subtle level that fear energy of those long past times, hence we re-create it within our own lives and in our culture. It is not the only way to look at it! We really do have to get over our collective obsession with fear and scarcity and come to understand that we truly exist in a sphere of vibrant energy and abundance. It’ll take time to get over doing it the “old way”, and we are on that path so fear not! Also, I would like to remind my readers that indeed each of us chose to be here at this time. None of us are victims of this world. That is 3D thinking. Our job is to do what we can in our own sphere’s of influence to bring true prosperity of L.O.V.E. (living on vibrant energy) into our lives and then watch as that radiates out into the world around us. I can see signs of it popping up all over, do you? It requires focusing on seeing what you do want and filtering out all of the rest. This does not mean being unaware of all of the suffering that is occurring. It just means finding ways to support all of the good feelings that you want to create instead. We are all playing the game called “human going to 5D” right now and it is perfectly imperfect and that’s alright. Now on to some thoughts around money and financial markets. There has been substantial financial turmoil in recent weeks and I have been following it closely and have some thoughts to share with you about it all. Money is something we all have to concern ourselves with to one degree or another as a human and our relationship to it is changing. Macro-economics, or the study of how countries and large corporations deal with money is not understood well by the general public. Suffice it to say that the current system has been around for about 100 years and is now due for a major revision. There are tens of thousands of people in this industry who are quite well versed at it so it is not like there is no one at the wheel, so to speak. Since that last financial crisis in 2008-2009 steps have been taken to bolster the banking system and some reforms were made. Once that happened markets had been on a steady upward climb for the last 5 years or so. Now we are seeing a correction to the markets that is normal although never warmly welcomed by anyone. The main issue that wasn’t resolved in the last period is that these large institutions were not willing to “tell the truth” to themselves and the public about how reckless and short-sighted they had become. They did some “window-dressing” reforms and then continued on essentially as before. The problem is that they were just not aware of how a 5D reality was going to upend their game. World-wide, consumption is slowing and since consumers account for upwards of 70% of the global economy this has upended the traditional “growth” model of economic behavior. Most developed economies on the planet are just not growing much at all, and their prospects in the near term aren’t that great. What then occurred is governments and banks have turned to manipulating their currencies to be weaker to encourage consumption in what some have termed “a race to the bottom”. Unless consumption increases, there will be a degree of contraction in business. There will also be a reckoning of the enormous sums created by central banks out of thin air to perpetrate this process. What does this then mean? Deflation, which in essence is wealth destruction, or at least wealth shrinkage. We as individuals and nations need to redefine our relationship with money so that we can allow it to flow to areas where it will benefit then enhancement of the well being of the people, which in turn benefits us all. We must come to understand that hoarding money and the propensity of extreme wealth accumulation in the hands of the few, hinders the advancement of a balanced society in general. There are currently simply too many incentives to accumulate wealth and use it as a tool of power over others. One can go to any major city and see stark divisions of haves and have-nots. While there will always be those who produce more and reap more than most, they should not be lauded as great people for that alone. How we address this will be huge in healing an area we have struggled with for thousands of years. It is a moral and ethical challenge to understand as a society that wealth comes from the labors of all, not just the few, and that all must be honored. Finally, I will speak of war and displaced peoples. According to the UN High Commission on Refugees there are currently approximately 60 million displaced people on the planet right now, most finding themselves in that state due to war. Here’s a few facts: 200,000 refugees from the Middle East and N. Africa (mainly) landed in Europe in 2014 seeking asylum. In 2015 so far it is 350,000 and is expected to reach 400,000 by year’s end. This is causing tremendous problems in Europe. Pakistan alone has taken in 1.5 million refugees from Afghanistan. The USA takes in approximately 70,000 each year. Germany has offered to take up to 800,000 refugees. We need to focus on peace, not only in our own countries but also in regions of the world such as the Middle East where people have lost hope and are fleeing from war and persecution. It is a travesty of governance that the EU is so unprepared for this migration. It is a blessing that private individuals are doing so much to assist these people. There are many stories of private individuals organizing and assisting these refugees as well. No one wants to be displaced from their home, their families and communities. What this is bringing to the forefront is the need to promote peace and well being for all in the face of this mass migration, the largest since World War 2. After touching on these three very active areas of concern for many it is easy to feel the fear that things are moving towards an out of control state. The desire for transformation is symbolized by people rallying around the Wave X theory, that in some way we will be “rescued” by “divine intervention” of a dramatic scale. Again, we are not victims of this world, so we do not need to be rescued. Transformation will come from the grass roots of people all over the world beginning to say “no more” to whatever it is – be it war, economics, environment, health, etc. And we are seeing it more and more. While mass beliefs are slower to change, they are changing. Individuals continue to question the underlying assumptions of a world that is not working well for them- they are the harbingers of even greater change forthcoming. Each of these three current topics is bringing forth for many people an awareness that things are not in balance. What is balance? From the 5D perspective it is this: Be All Loving, all Nurturing, Creating Eternity. If we wish to create this in our world it is necessary that we examine for ourselves how we can be all loving, all nurturing in our own lives and in the sphere of people we are around, letting that begin to radiate into the world we all share. It is happening. Continue to support it where you can. Even the vibrations of being in a good mood will positively impact the etheric environment around you. Isn’t this so? The illusions of negative dramas are just the wailing gasps of something that is not Eternal being ushered off of the stage of Life. Eternity can only be the higher frequency that is Love, the foundation of all manifest creation itself. Ask yourself what you would want for eternity and you’ll know immediately what direction to take. In this month, and those time to follow there will be more change, that is a given. By each of us taking whatever small steps to say yes to what we truly want we are building the path for it to manifest in our lives. It requires conscious participation and conscious action. Spend time to get clear and create something that suits your highest desires. It will benefit you and it will bless us all.